Chef Christopher Thomas from B.C.’s CedarCreek Estate Winery shares a delicious seafood dish that pairs beautifully with a glass of Riesling. He recommends the CedarCreek’s 2011 Riesling. 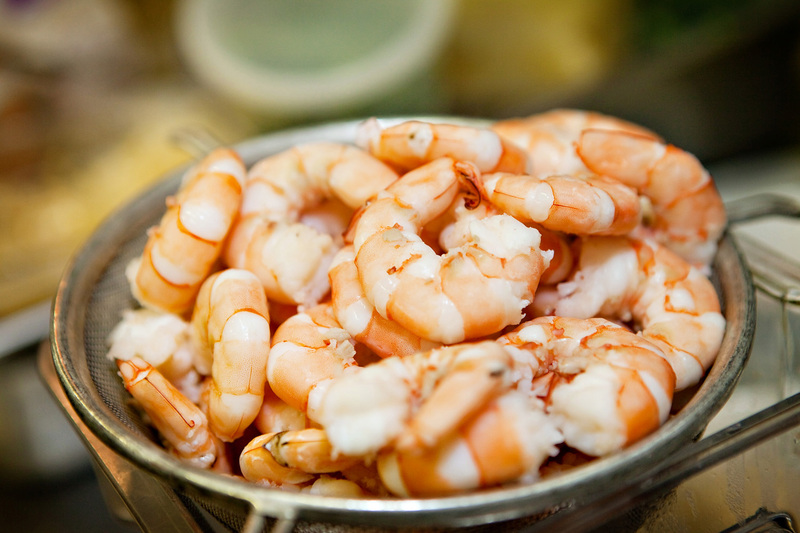 Combine oil, shallots and prawns in a large sauté pan and cook until prawns become pink. Add wine and garlic puree and reduce liquid by half. Combine remaining ingredients except cheese. Cook for about two minutes or until sauce thickens. Season with salt and pepper, serve over Tagliatelle and top with cheese. For roasted garlic puree, preheat oven to 375F, wrap each clove in aluminum foil and cook for 45 minutes. Then peel the cloves and grind in a food processor, adding some olive oil to arrive at a smooth, creamy paste.